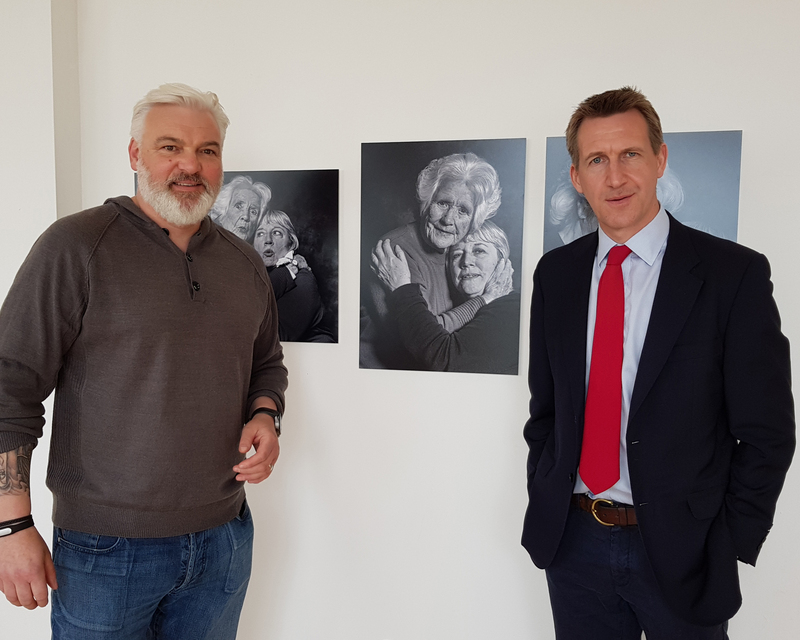 I was honoured this week to give a guided tour around my exhibition “Somewhere in Time” at The Civic, Barnsley to Barnsley Central MP Dan Jarvis. As many of you are aware Dan is certainly a man of integrity and honour, having served in our military he has also overcome tragedies in his personal life which I think have moulded him into the solid caring political figure you see in the picture. Dan took valuable time away from his campaigning to visit the exhibition which is mainly comprised with people from his central area, we spent over an hour discussing the people in the images and the amazing support structures that so many people are providing to those who so desperately need help in our community. Dan is standing for re-election in the upcoming local and national elections, here’s hoping he gets back in and continues to support his community the way he has been doing so diligently over the past years. 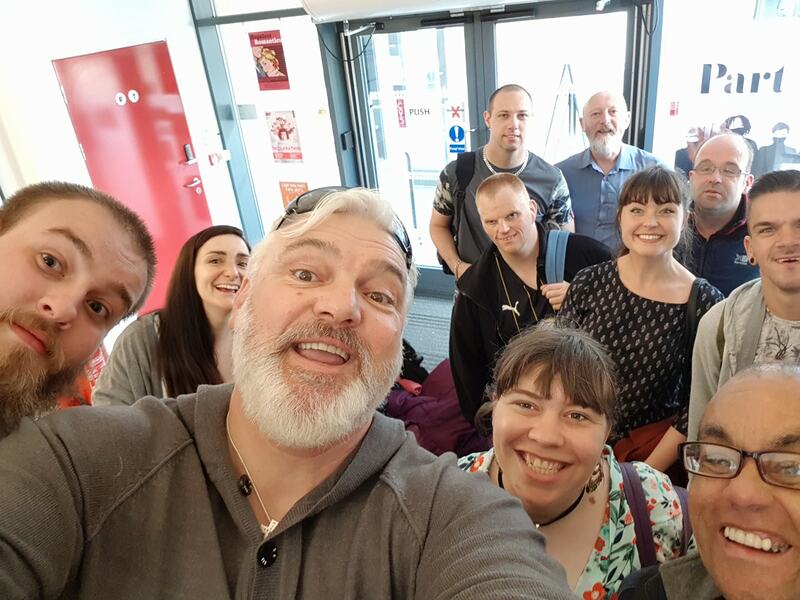 I was also honoured to give a guide tour of the exhibition to the fabulous people of ArtWorks Sheffield, ArtWorks is a community interest day service providing quality day and work opportunities within the creative industries for adults with learning disabilities, autism, sensory disabilities and physical disabilities. We spent an hour discussing the people and issues faced by the people living with dementia and comparing how their own difficulties manifest in their daily life and problems that are alleviated to a certain extent by being part of a community group that give unlimited support that doesn’t stop at 5pm. I was recently interviewed by a couple of the group for their newsletter which you can read HERE, a really well written interview and it was a pleasure meeting all the gang learning about all the fantastic things they do and plans for the future.